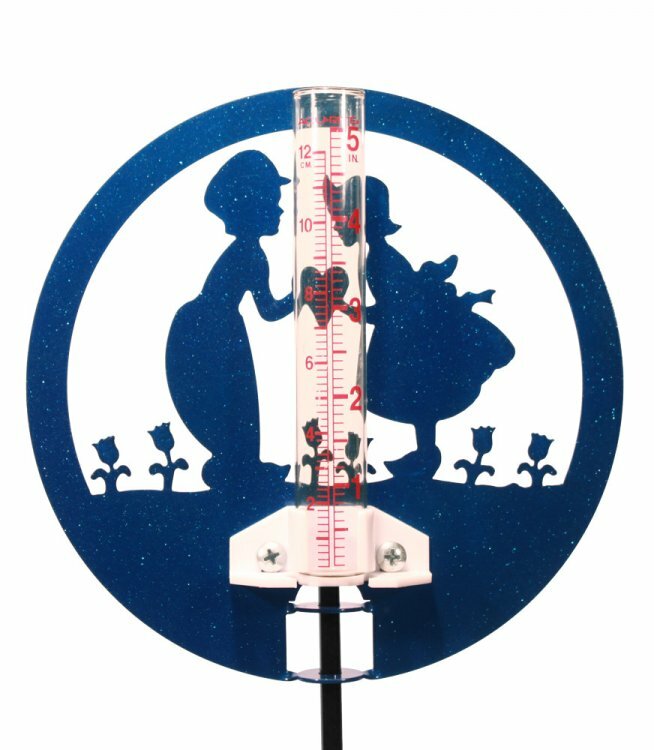 Steel Garden Stake with Glass Rain Gauge Vial. Glass Tube Measures up to 5-Inch. Comes with a 30-Inch Tall Garden Stake. Swivel Top for Easy Reading from any angles.